Today only, tarte Cosmetics is offering a 7-Piece Custom Set for US$64 / CA$84 (retail values are over US$165 / CA$219). Also, don’t forget ebates Canada (referral link), who have 4% cash back for tarte today! 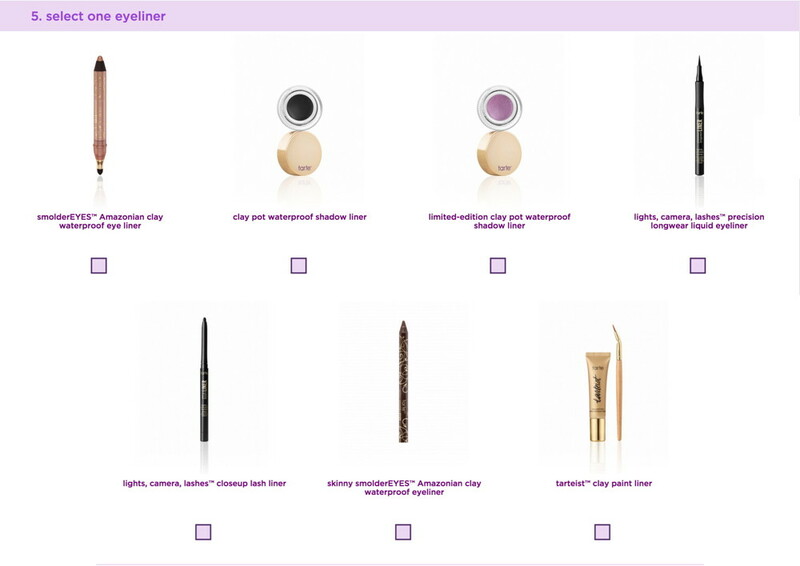 You get to select one full-sized product from each of 7 categories (cosmetic bag, foundation, blush, lip color, eyeliner, mascara, and makeup brush) that tarte has provided. Here are the options. I have included the Canadian prices so you can see the relative values of the items in each group. I just realized I actually did not mean to order the Surfer Girl lip color! I wanted the rose shade Happy, but I must have clicked the wrong option. Oh well. I don’t really have fuchsia lipstick so I can give it a try this summer. I got a free Water Foundation sample card, too. LMFAO!!! I totally heard that in The Lollipop Guild Munchkins’ voice. I can’t decide if you’re evil or a saint right now. Use the CODE, Stashy! Use the code I never could! Aaaaaaaahhhh… Remember, the code will be with you, always… Do or do not…. LMAO hahahaa perfect for Star Wars Day! OMG what a great deal!! OH DAMMIT, why did I see this too late! I’m desperate to try more stuff from Tarte, the stuff I have tried I adore! 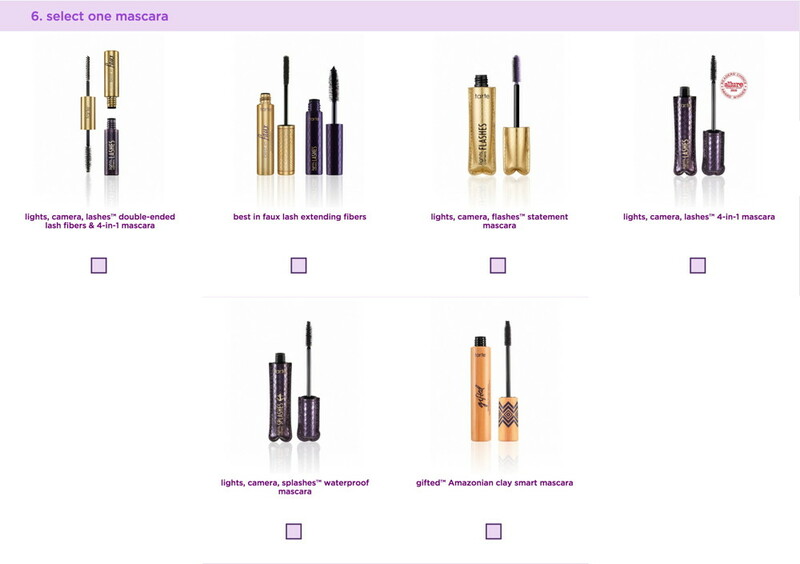 but we can only get it on QVC here, or from Tarte directly! This was a great deal, and if anyone didn’t choose the Unicorn Makeup Bag… they’re insane! Ahhhh I’m sorry you got in late for this! But I hear they do this 1-2x a year, so maybe there will be another in the fall. I’ve never done it before so I was excited! 413,087 times by nail polish fans!